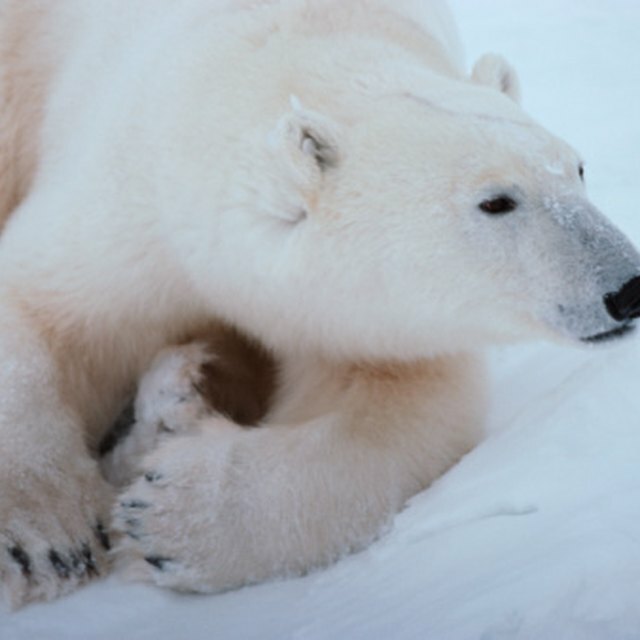 What Types of Animals Live in the Ice Cap? Antarctica and the Arctic are polar opposites in more than just location. The Arctic is a circle of land masses intermingled by the Arctic Ocean, while Antarctica is a solid island of ice. A cold desolate continent covered in miles of ice and snow year-round, the south pole of Antarctica is limited in life forms. The Arctic, with true seasonal changes brings to life animals that are nonexistent anywhere else on earth, along with migratory birds that come by the thousands each spring. Antarctica is the coldest place on earth, and the never-ending icebergs, snow drifts and bone chilling winds provide few comforts to animals. The few species of land animals inhabiting the southern-most continent include six types of seals--fur, Ross, Weddell, crab-eater, elephant and leopard--who subside off of meat from other animals living in their environment. The Arctic is a more forgiving place than Antarctica, with true seasonal shifts from blistery cold winters to frosty springs and sunny summers. Tundra provides short shrubs, lichens, mosses, herbs and vines for vegetation and shelter. 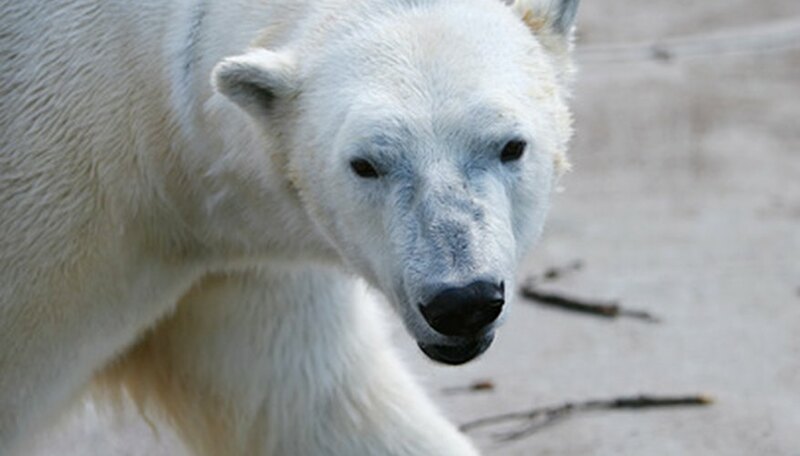 Land animals living in the Arctic include animals that are predominately found in this region of the world, such as polar bears, caribou, reindeer, wolverines, ermine and Yakut horses, as well as Arctic foxes, wolves and hares. Birds living in Antarctica include penguins, skuas, Wilson's petrel, fulmar and cape pigeons. However, most of these birds will migrate to other continents or nearby islands during the harsher winter months. Penguins, while they are excellent swimmers, do not fly nor migrate. They also only live in the southern hemisphere and therefore do not inhabit the Arctic. Birds that do live in the Arctic include skuas, albatross, puffins, snowy owls, tern, murres, snowy geese and ptarmigans. Thousands of other bird species fly into the Arctic during the spring to mate and breed. The north pole is completely covered in ocean, unlike the south pole which is ice capped. 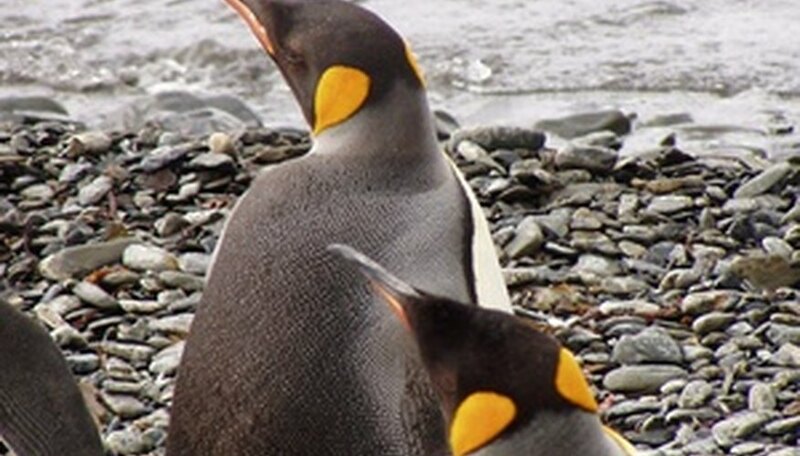 In the Southern Ocean surrounding Antarctica, unbelievably life does exist. Blue, sperm and killer whales patrol the seas feeding off of krill, tiny shrimp that are the main staple of the food chain for animals in Antarctica. The smallest type of marine life is the plankton, micro-algae that krill feed on. Fish, squid and octopus live in the waters, feeding the whales, seals, penguins and other birds. In the Arctic, walruses and seals inhabit the waters, along with creatures that thrive in the ice forms called ice algae. Plankton, Arctic cod and Arctic char swim through the Arctic Ocean. Greenland sharks and Beluga and blow head whales stalk the waters in the Arctic. Which Biome Has the Least Biodiversity? Brumbaugh, Miranda. "Differences Between the Animals in the Arctic and Antarctica." Sciencing, https://sciencing.com/differences-between-animals-arctic-antarctica-6896071.html. 24 April 2017.